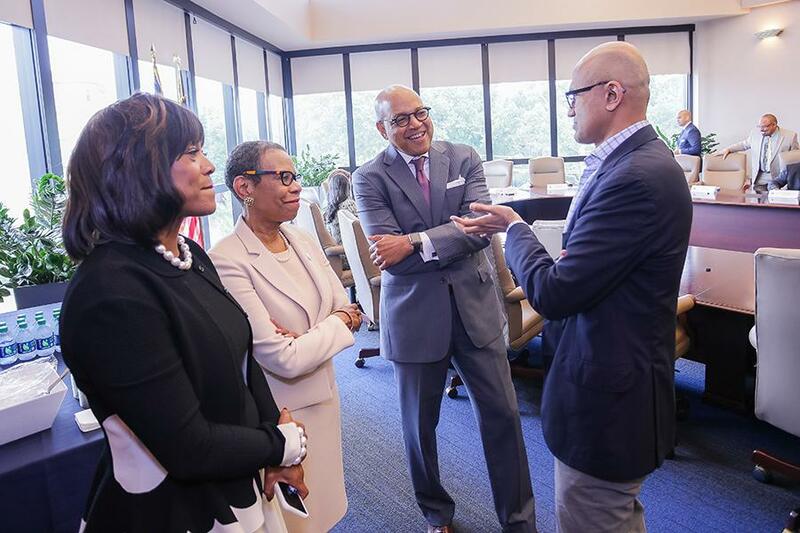 The CEO of Microsoft, one of the world’s top technology companies, came to Atlanta Tuesday to speak to students at the area’s four Historically Black Colleges and Universities. 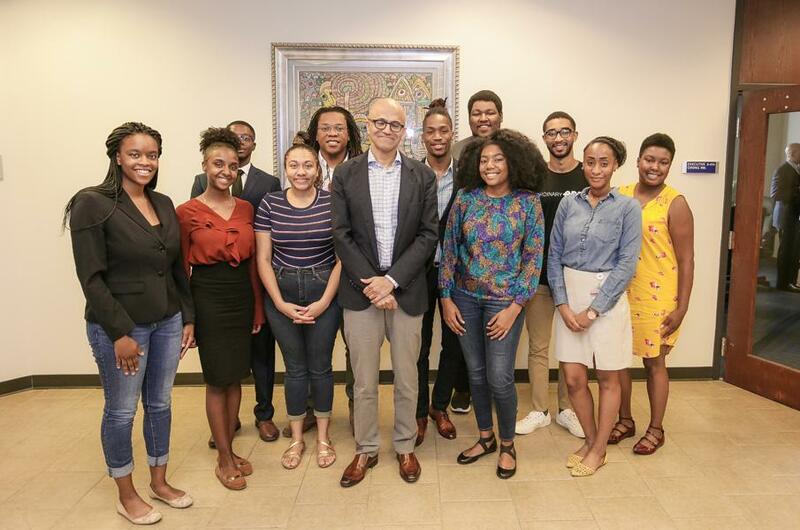 Satya Nadella lead a thoughtful dialogue with students of Atlanta University Center Consortium schools Clark Atlanta, Morehouse College, Morehouse School of Medicine, and Spelman College about the future of technology innovation. 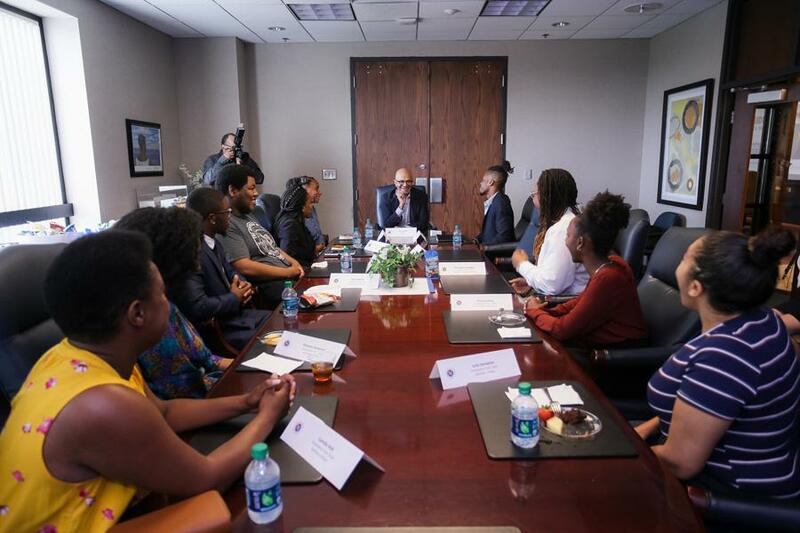 While at Morehouse School of Medicine's campus, Nadella met privately with AUC presidents, key staff and select students, some had held internships at Microsoft last summer. 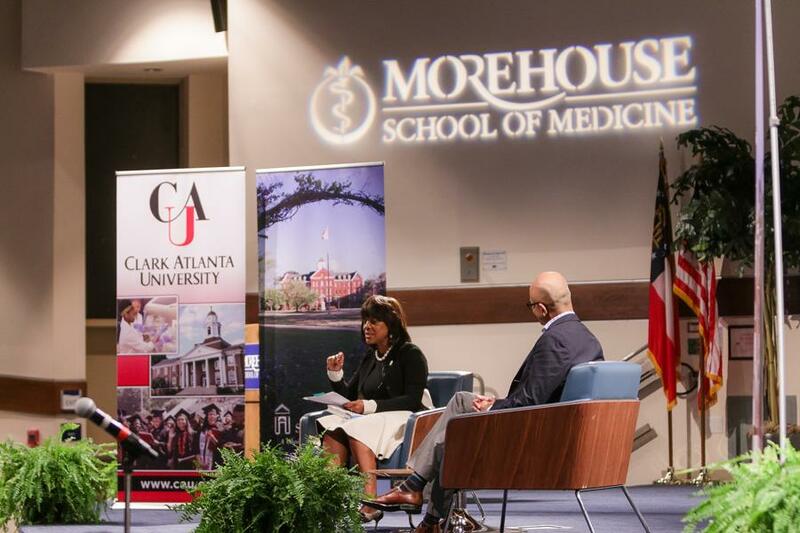 Nadella also took part in a fireside chat, hosted by MSM President and Dean Valerie Montgomery Rice, M.D., with AUC students, faculty and staff in the auditorium of the National Center for Primary Care on MSM’s campus. 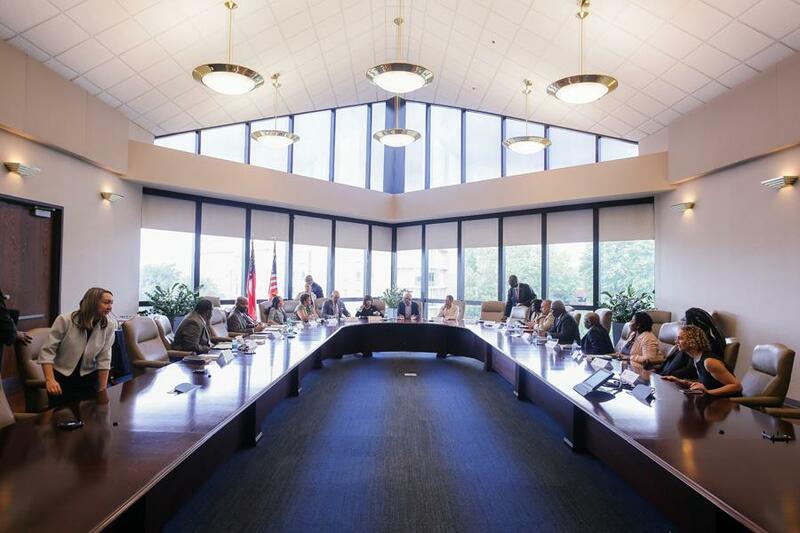 Students from all the Atlanta University Consortium schools participated and asks questions about the future of business/technology globally and in Atlanta. 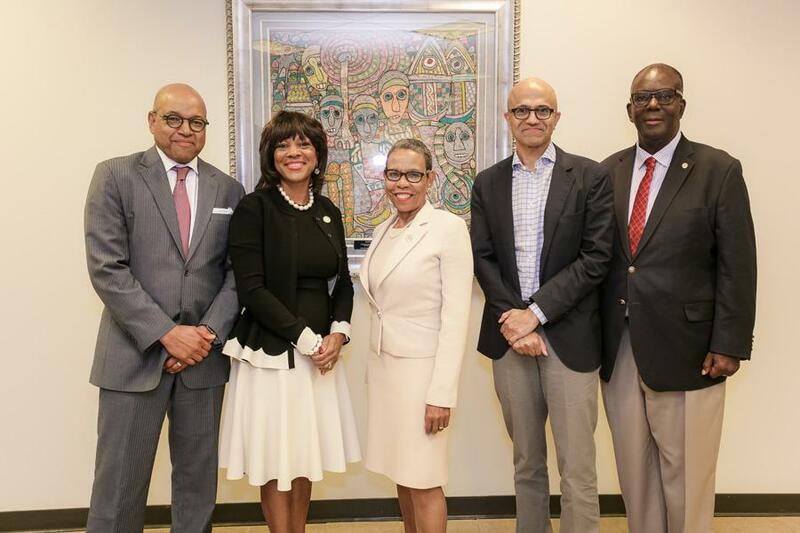 Nadella joined Microsoft in 1992. 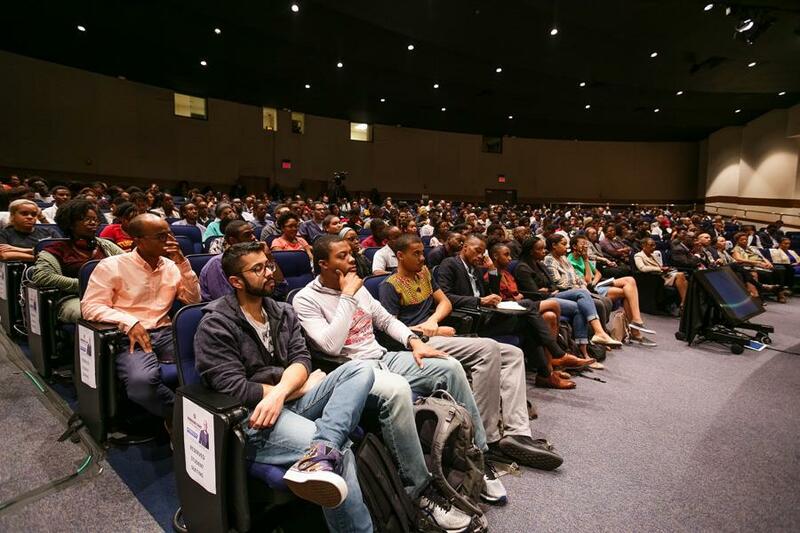 He quickly became a leader in technology and business and led the transformation of some of Microsoft biggest product offerings. 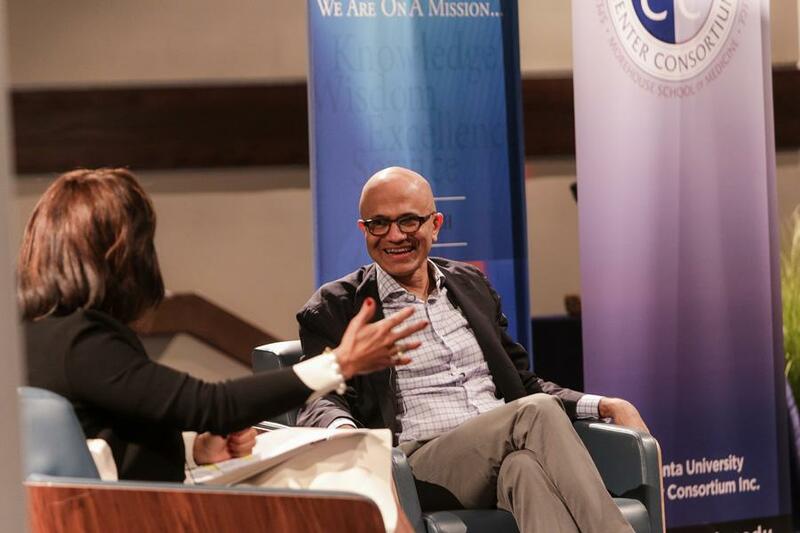 Nadella, a native of Hyderabad, India, was appointed Chief Executive Officer of Microsoft in 2014. 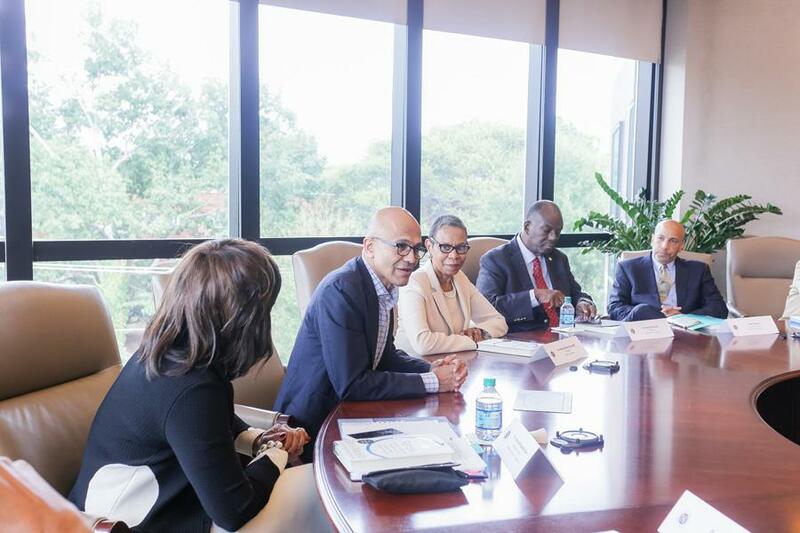 Read more about Nadella's visit in this report from the Atlanta Journal-Constitution.